96mm Big Bore Kit: Using our newest piston design for added power with no loss in reliability. 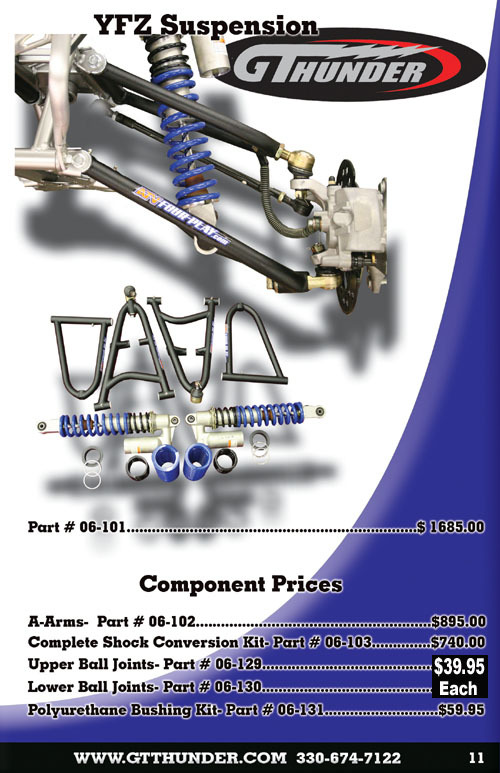 This kit was specifically designed for XC Racing where lower engine heat and reliability are big issues. 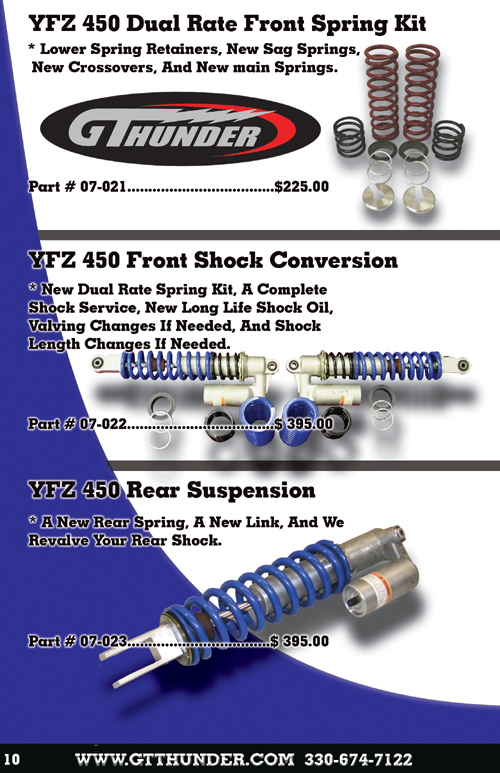 This kit works well with our latest head porting and the latest exclusive hand built Prowler Series Exhaust. 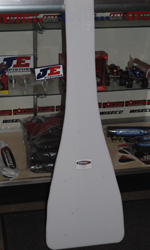 Head Porting: This head porting was specifically designed for maximum power increase with no loss in torque. 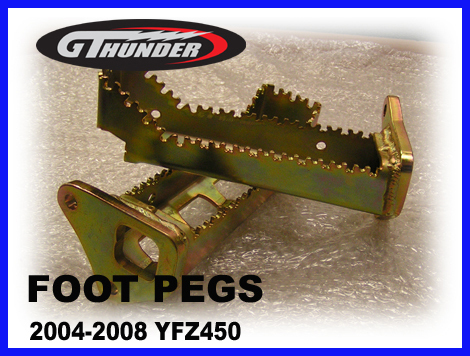 Foot pegs, Lowered 1/2 inch from stock but still maintain great ground clearance. They also maintain many of the stock properties allowing them to bend back before you break your frame or break the bolts. This gives you better protection against DNFs. Please Note: You need to run a guard dog sprocket guard cleaner to keep dirt buildup out of the sprocket guard, and you must run a chain guide to keep the chain entering the rear sprocket area straight onto the rear sprocket and to help keep debris out of the rear chain and sprocket guard setup. If you do not do this - you can experience severe engine damage. 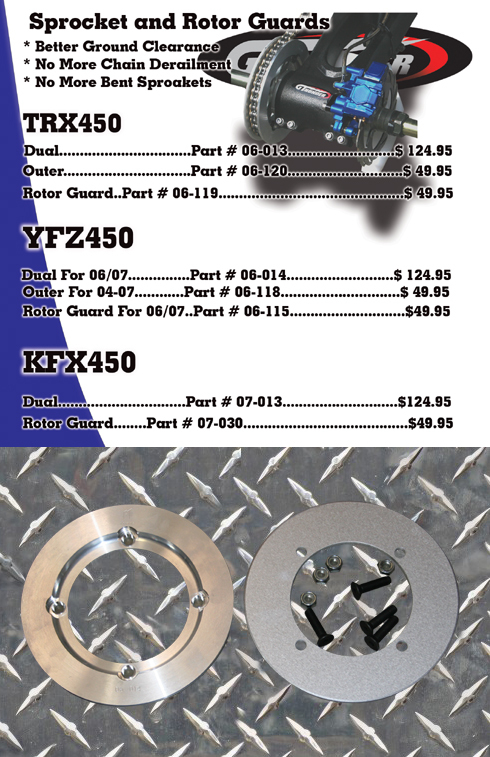 High flow pistons are an aditional $175.00 per shock.